A lovely selection of Gift Packs for Him, Her, Mother & Baby plus Vouchers, the perfect gift for someone who has everything! Purchase the box only. For Mother & Baby Set or Skin Care Sets to turn them into gifts. A stylish black cardboard box nestled with wood wool and fully recyclable. This box is used for all gift pack selections (included in the price when you select the Gift Packs) You may also add this box to your purchases if you have selected other pro.. This Special Offer Mother & Baby Set will be shipped as a Gift Pack (RRP $72.50) which will come nestled in wood wool inside a stylish black box with a ribbon of your choice (if you know the gender of the baby please let us know).This set..
Skincare selection makes a lovely gift. Suitable for Normal to Dry skin types. Add this item to your cart and you will receive three individual products; Hydrating Cleansing Lotion, Rose Dew Toner, Avocado Deluxe Cream presented in a stylish black box with the jars nestled in wood wo..
What better way to say "I care" than with a Gift Pack like this! Suitable for Oily to Normal skin types. Add this item to your cart and you will receive three individual products; Hydrating Cleansing Lotion, Lemon Dew Toner, Rejuvenating Day Lotion presented in a stylish black Gift box with the jars nestled in w..
A simple yet stylish Voucher which can be personalised for you. 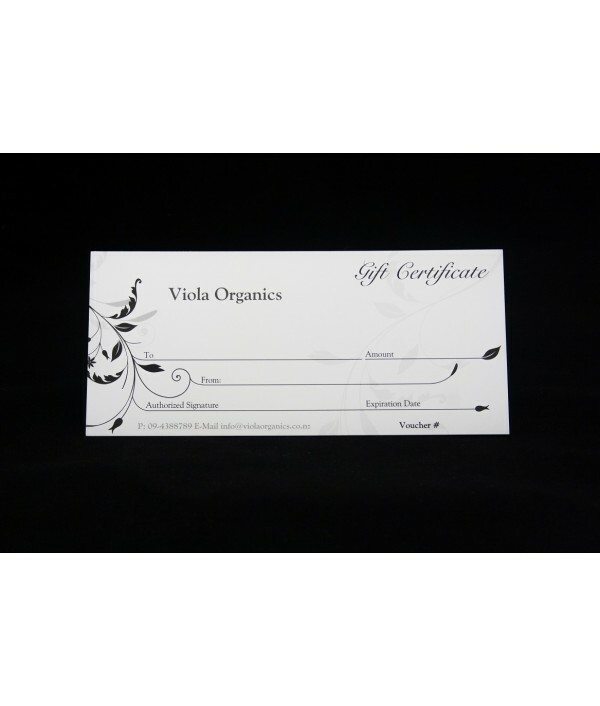 The voucher will be numbered and include an expiry date of 1 Year from purchase. Enclosed in a white envelope. We can also ship it to another address besides your own at no extra cha.. Happy to post this at no charge to another address ! The perfect gift or start-up set for baby! This Special Offer Mother & Baby Set may be purchased and we will ship you 4 individual items (RRP $67.50 now only $50).Or, if you are wanting a Gift Pack (RRP $72.50 now only $55) which will come nestled in wood wool inside a stylish black box..
Great value buy all three, save 25%! RRP $67.50 value - now $50. Perfect to the first time user or when traveling! 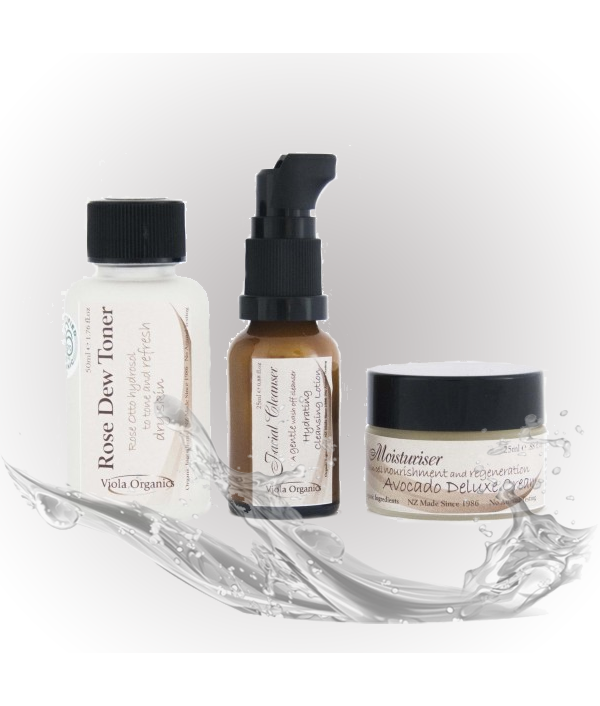 Add this item to your cart and you will receive three individual products; Hydrating Cleansing Lotion, Rose Dew Toner, Avocado Deluxe Cream. If you would like them turned i..
RRP $67.50 value - now $50. Perfect for the first time user or for traveling! 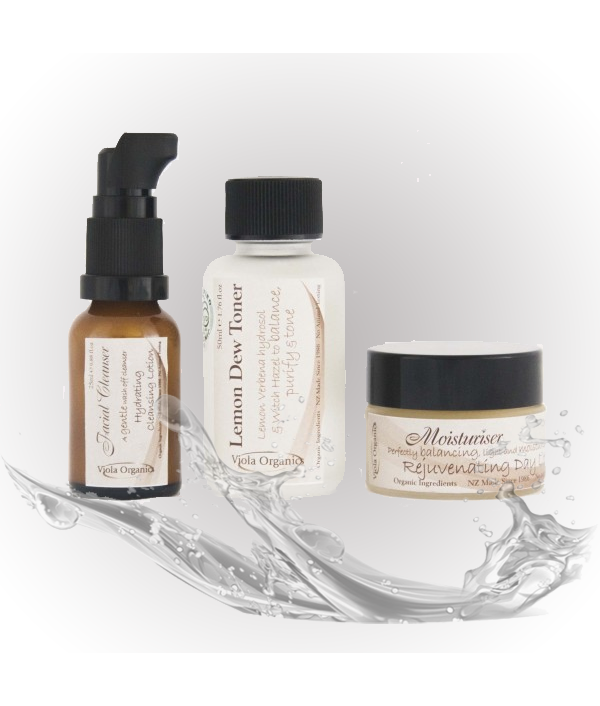 Add this item to your cart and you will receive three individual products; Hydrating Cleansing Lotion, Lemon Dew Toner, Rejuvenating Day Lotion. If you would like them turn..